Hosea has to be one of the most obedient children of God. God used Hosea’s love life to give a living picture of how He felt about the disobedience and sin of Israel. It’s sort of like God’s very own Performance Art, only the artist can’t walk away from the stage at the end of the day. Hosea lived out the art performance God created. First God calls him, Hosea, a man of God, to marry a prostitute. Can you imagine that wedding? I wonder if they were seated brides family and friends to the left and grooms family and friends to the right! Imagine the whispering in that church! Then He gives Hosea three children. That sounds like a blessing doesn’t it? But God names them after the disobedience of Israel. Jezreel, his first born and a son, was to represent God’s revenge on Jezreels behalf on Jehu, and bringing an end to the family and kingdom of Israel. His first born daughter was named Lo-Ruhamah, because God would no longer have mercy on the house of Israel. The third child was a son, named Lo-Ammi, which I believe has the saddest name of all. As God said it, “For you are not My people, And I will not be your God.” (Hosea 1:8). If having God name your children in such a way wasn’t enough, then Gomer, his prostitute/wife, decides to return to the streets. Is Hosea allowed to turn from her and move on with his life? NO! God instructs him to go buy her back. So Hosea, faithful to God over all things, does! This represents Israel’s return to God. After they have lived their lives worshipping other gods, going after everything that looks to be better than God, they realized how good they had it and returned. But not all of Israel returns. Ephraim, one tribe one tribe in particular is named to show that a portion of them does not return to God from the sin they are in. This is when God says he will “let them forage like a lamb in open country.” On first read, this seems like God has blessed them. But no, it’s not a blessing. 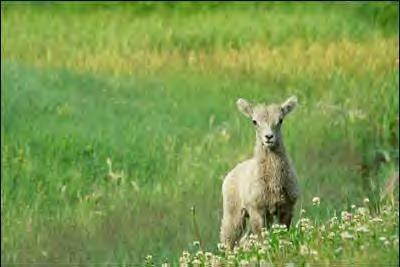 A lamb, given to its own means, will eat too much grass from the pasture and become what my granddaddy use to call ‘founded’. It means basically they become unable to digest what they have eaten. That’s why farmers give grain to their sheep, cows, horses, etc… To “let them forage like a lamb in open country” is to allow them to get their fill of their sin. God’s basically saying, “ok, if that’s what you want, have at it!” But in doing so, God knows that sin has its own price to pay. If there was any good in it, He’d chose that lifestyle for us. God’s mercy does grow weary with us at times. This is when correction comes. You may look around you today and see Ephraim’s – those that know to follow God, but are not. Instead they live the life of non-believers, creating jealousy in God by chasing after every new “spiritual awakening”, self-help course, stone with special powers to keep in their pockets, or necklace that wards off evil. God does see, and God is offended. Though His mercy is new every morning, and His mercy endures, God is perfectly capable of sending punishment as well. God’s mercy does not have to end for His wrath to begin. His wrath is mercy as well. The two work together. Just as cool water is water and hot water is water too, mercy and wrath come from the same source. Sometimes we see God’s mercy a blessing and His correction as a curse. But everything God gives His children, even correction and punishment, are blessings. The worst thing you can do for a child that has a strong willed, rebellious spirit is to leave him to his own ways. Our prisons are filled with those who have had parents allow their rebellion to remain in them. But where the parent withheld punishment, God has not. Maybe you’re in one of those lifestyles that you know is not as God has taught you, but it’s suddenly comfortable. You’re no longer feeling His conviction. You’re able to go through your life day after day without feeling guilt or shame. You should ask yourself if you’re the lamb God has let roam freely in the open country. The sooner you return to His care, the better your life will be. His ways aren’t to fence us in to control us, but to fence us in to protect us from what is not best for us.